Maybe you’ve finally retired, and you’re looking for the perfect place to get away to enjoy that sweet freedom. Perhaps retirement is in the near future, or maybe you’re just on the hunt for your next big investment. Whatever your situation may be, Florida just might be your answer. Are you ready to make the leap? What are your options? Read on to find out. Trying to figure out if you are ready to buy a vacation home is probably one of the top questions you’re asking yourself. Start by considering how affordable it is. On a list of the top 15 most affordable beach towns to purchase a vacation home, Florida dominates seven of those spots, making it the prime spot to buy. Not so fast. It might be a bargain, but you need to take a moment to seriously think over your current financial state and consider every single expense. There’s the down payment, closing costs, utilities, insurance, and maintenance. If you plan to rent the property out when it isn’t in use, you’ll need to factor in a marketing plan to attract buyers, as well as repairs and upkeep. Another key piece to consider is how much use you’ll get out of your vacation home. While a vacation home can certainly be a source of income, how often can you visit? Is it close enough that you can easily get there? It’s easy to say that you’ll use it five or six times a year, but when you combine work, family, and life in general, you might find that you don’t have as much free time as you thought. However, if you are already spending weeks or more in Florida and have practically become a local, investing in a vacation home might be the best route to give you the most bang for your buck. Keep in mind, if you plan on renting it out, you need to factor in the usage here too. The good news is that Florida is one of the top vacation destinations, and the reasons you are attracted to it will be the same ones that bring renters in. 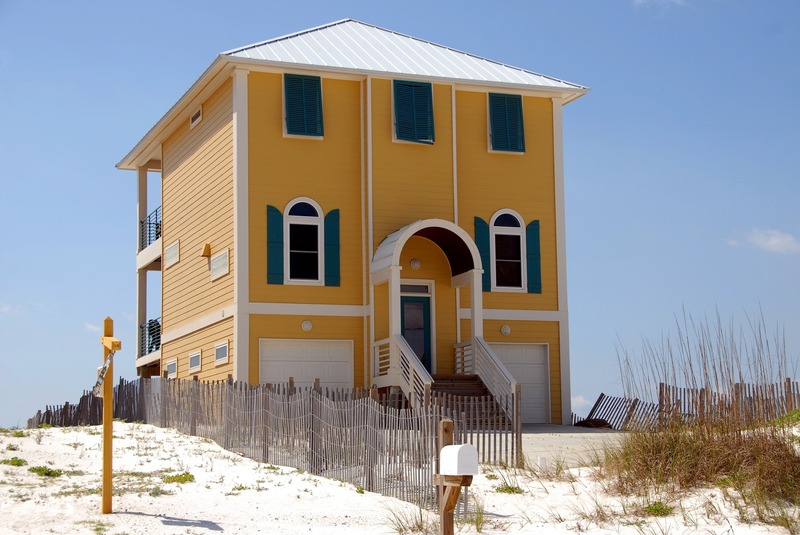 While you can buy a second home, you should know that there are other options when it comes to vacation homes such as a condo or a townhome. With a condo, you own a single unit within the building and are responsible for maintenance only through your association fees. With a townhome, you own the structure itself as well as the unit, and it is common for there to be a shared wall between two neighbors. In this case, you are responsible for the maintenance both inside and outside the residence. Both condominiums and townhomes typically have communal areas, such as a pool and gym that is maintained by the property manager. Florida is sunny and hot, so having a pool that you don’t have to manage or clean is a huge bonus. With a house that you turn into a vacation home, you are essentially the property manager unless you have it in your budget to hire one, along with a housekeeper, landscaper, etc. If you are still on the fence as far as Florida being the prime location for your second home, the Huffington Post offers no shortage of reasons why Florida is great. The weather is perfect all year long, and the various cultures and landscapes within a few minutes to a couple hours make it a vacation within a vacation. So, if you are considering purchasing a vacation home, Florida should be number one on your list. Before you jump right in, go over your finances, make sure all your questions are answered, and weigh all your options. Your second home is calling!